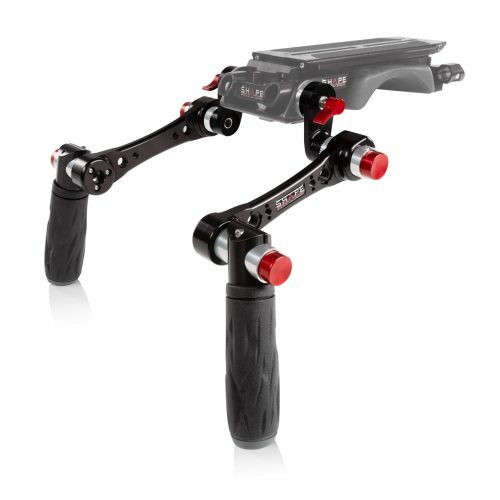 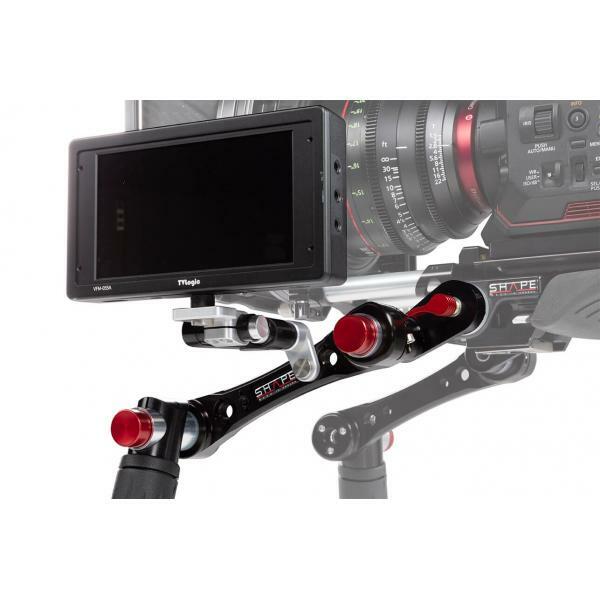 Left ARRI Rosettes handgrips that can be attached to cameras or camera support hardware that has standard ARRI rosettes. 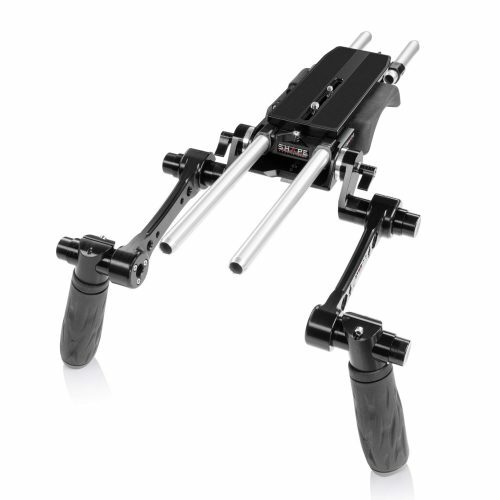 The arm features three points of articulation (2 Push-button, 1 ratchet knob) allowing you to adjust the arms for your comfort. 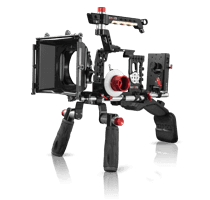 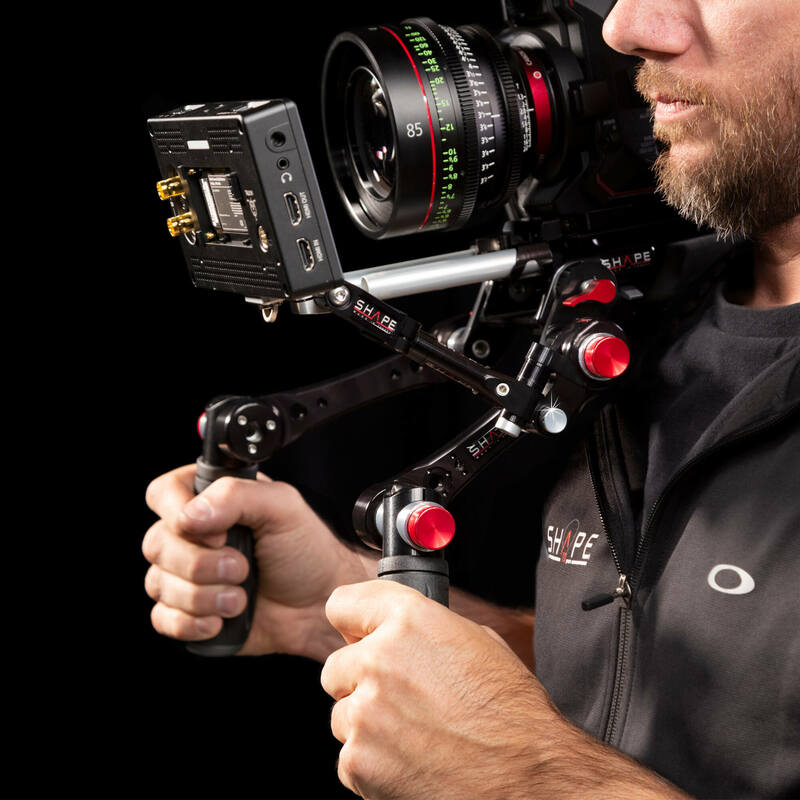 The arms attach to your camera or support via an ARRI compatible rosette with spring-loaded locking levers, which allow you to lock your arms in place. 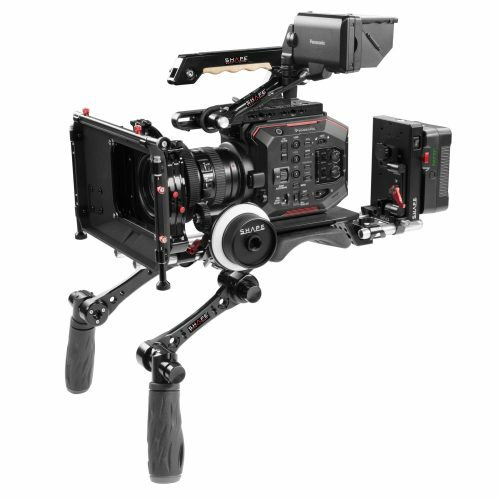 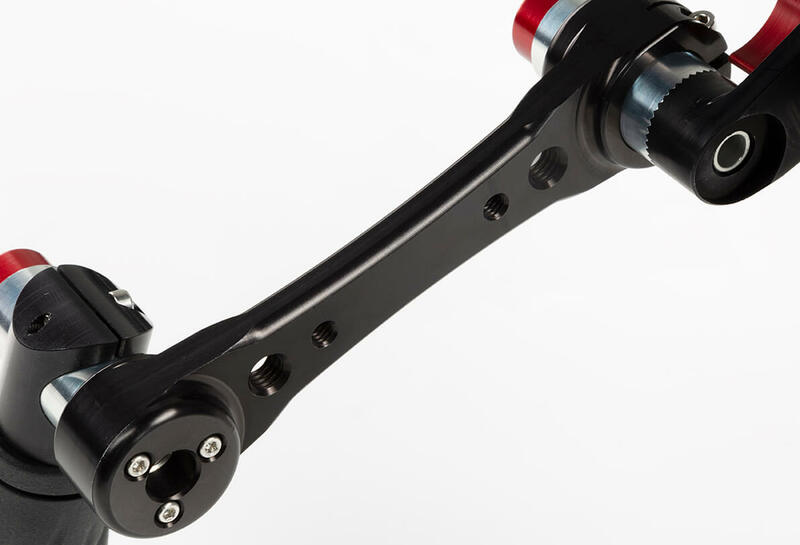 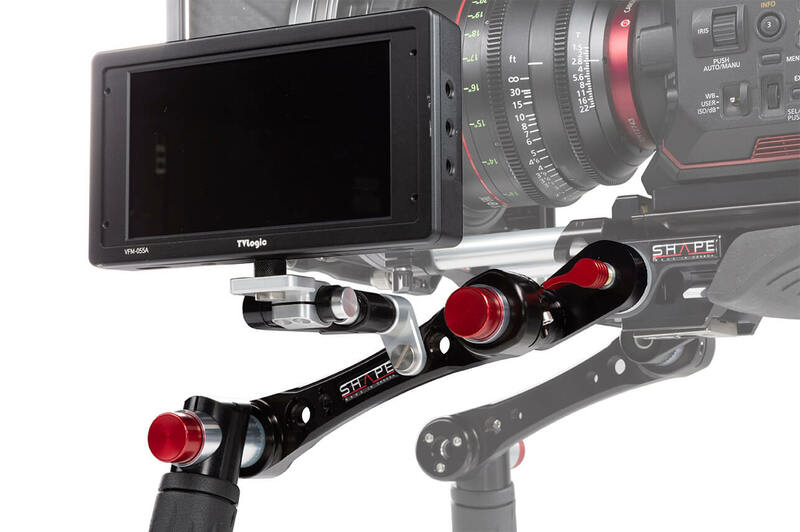 The arm is also designed with (2) ¼-20 and (2) 3/8-16 threaded holes with locking attachment stoppers for additional mounting options and to strongly secure the camera accessories in position. 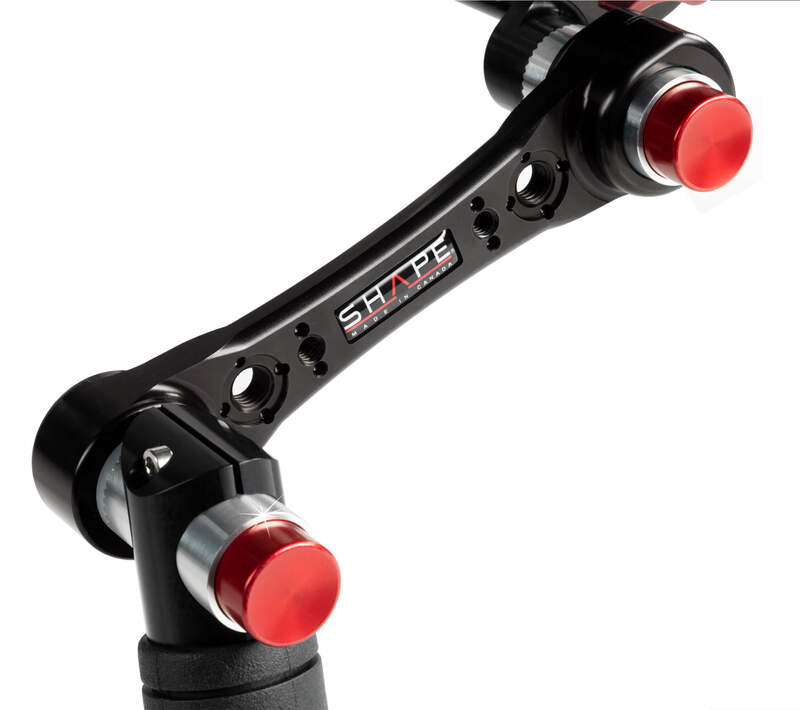 SHAPE is well known for its patented Push-button handle, now used by so many professionals in the industry. 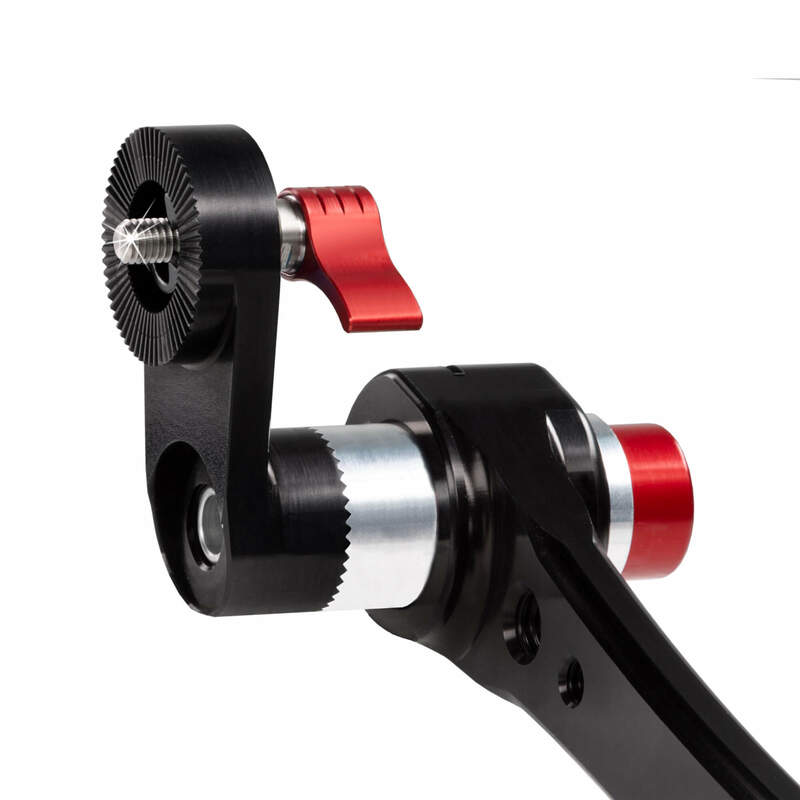 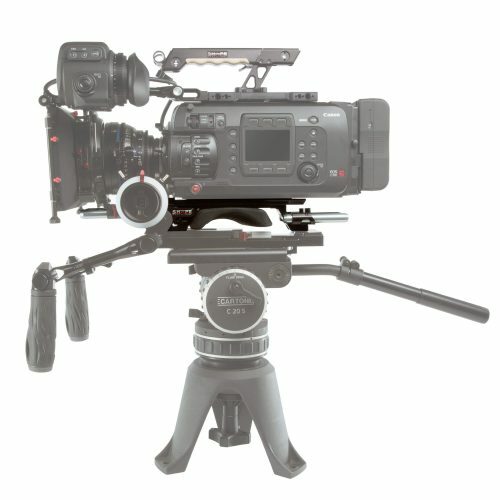 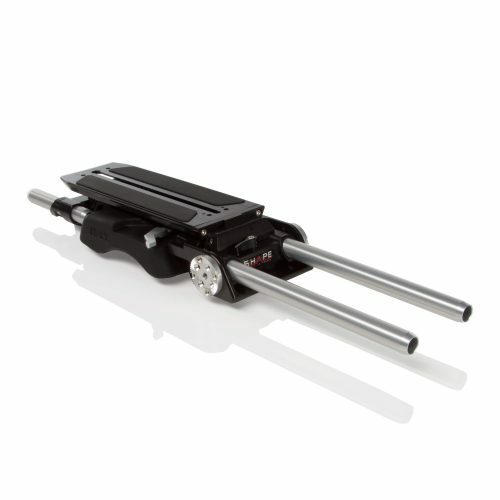 The technology was developped to give filmakers quick and easy adjustment. 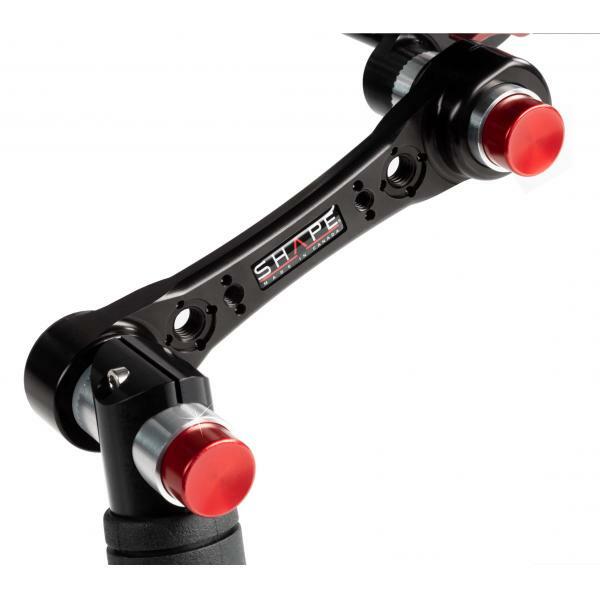  By simply pressing the button, you are allowed a 360-degree rotation to place the handle in the best position for your use. 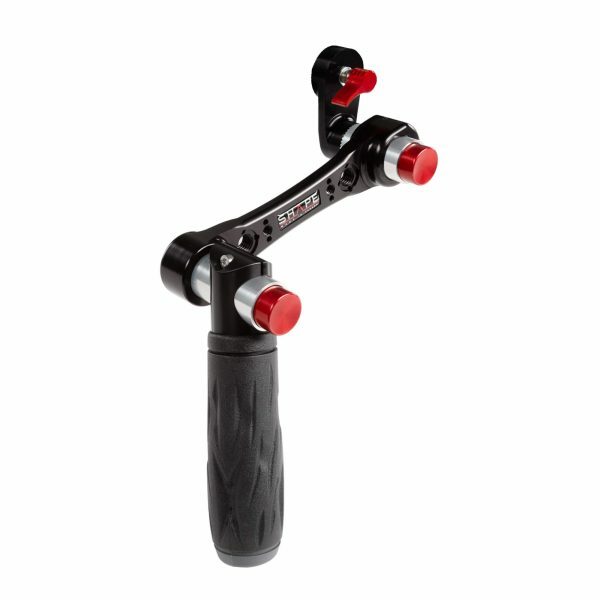 The Push-button system on the Handle articulating joint provides additional articulation near the rosette, while a second push-button articulation joint allows you to rotate and precisely position the rubber handgrips.